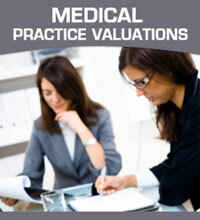 A medical practice is a tremendous time investment. A successful practice requires significant attention, often at the sacrifice of your personal time. Partnerships are one way to help mitigate the strain a successful practice can have on your personal life. But professional partnerships aren't always easy to negotiate, establish, and maintain. Doctors Broker offers a range of services designed specifically to help you meet your partnership needs so you can reclaim some of your valuable personal time. We can help you. We have great skill and experience in acting as an intermediary between the negotiating parties and will aid in a range of other necessary tasks, including the establishment of practice governance, developing compensation programs, and consummating the final relationship. If you are considering engaging partners for you medical practice, please contact us. We suggest you do not wait to reach out to us if you are seeking a medical practice partner, and we are literally available 24/7! We have a wealth of information that may assist you and a detailed database of options for partnerships. Please let us know your medical partnership needs and we’ll over-deliver! You can certainly call us now at: 877-955-4447 or fill-out the short form below. However you want us to respond to you (phone call or e-mail) you can expect to receive correspondence back from us in a very short period of time!